Following Adam Yates (Orica-GreenEdge) and Mark Cavendish‘s (Omega-Pharma Quick-Step) respective overall and stage wins in the Tour of Turkey earlier this afternoon, Chris Froome (Sky) completed an exceptional day for British cycling by winning the time trial stage and the overall of the Tour de Romandie. 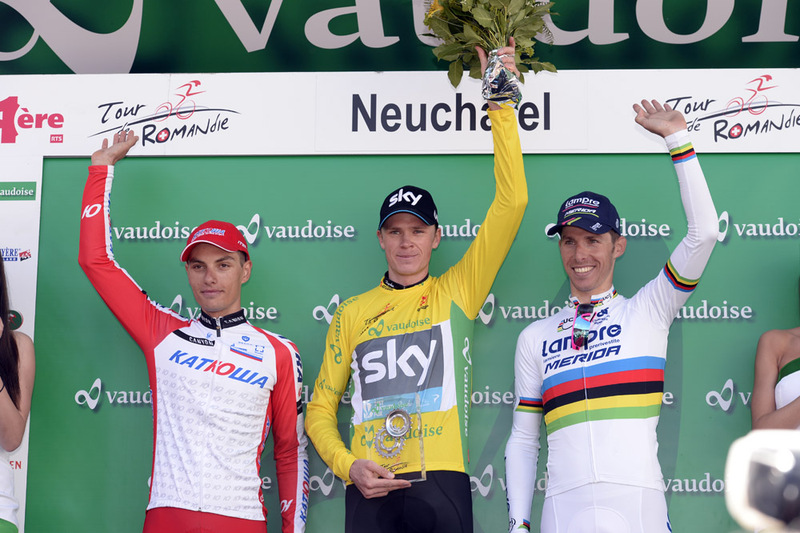 Going into the stage, Froome had just one second to make up on leader Simon Spilak (Katusha) to take the overall. Despite the Slovenian’s impressive record against the clock, he was no match for Froome, who took a whole half minute from him en route to winning the stage. 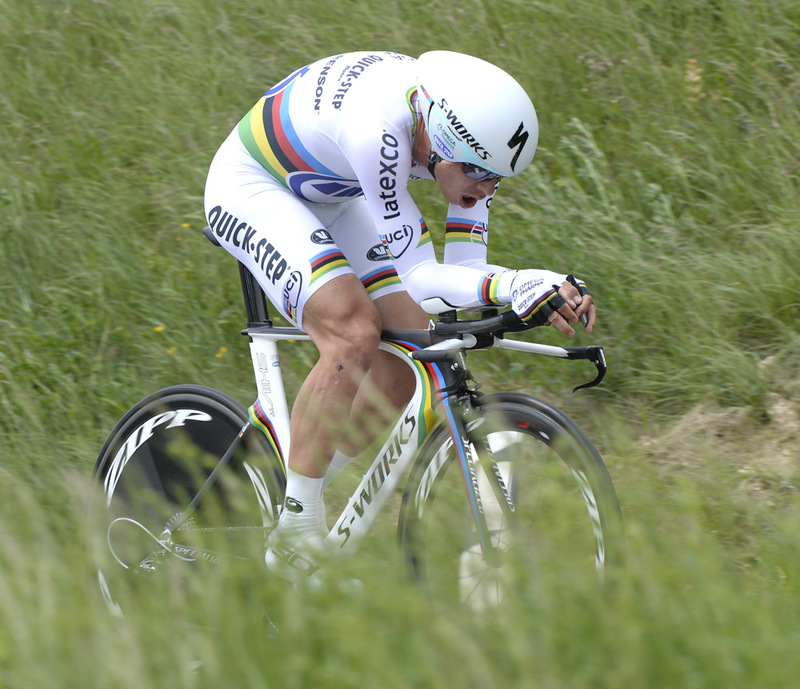 Even more impressive than his comfortable dominance over Spilak was the fact he managed to beat world time trial champion Tony Martin (Omega Pharma-QuickStep), albeit by a single second. The tough climb that featured undoubtedly suited the Brit’s attributes, but the time splits reveal that Froome even got the better of the German on the flat sections. This win proves that Froome is well and truly over his minor early season health setbacks, and, given that in each of the past three seasons the Tour de Romandie winner has gone on to win the Tour de France, he will be confident of success in July. Less confident will be Vincenzo Nibali (Astana), who slipped to fifth overall after a good ride by Mathias Frank (IAM Cycling), although there remains plenty of time for the Italian to ride himself into top form going into July. Rui Costa (Lampre) finished eighth on the day to consolidate his place on the podium behind Froome and Spilak which, coincidentally, is exactly the same order the three finished in last year’s Romandie podium. 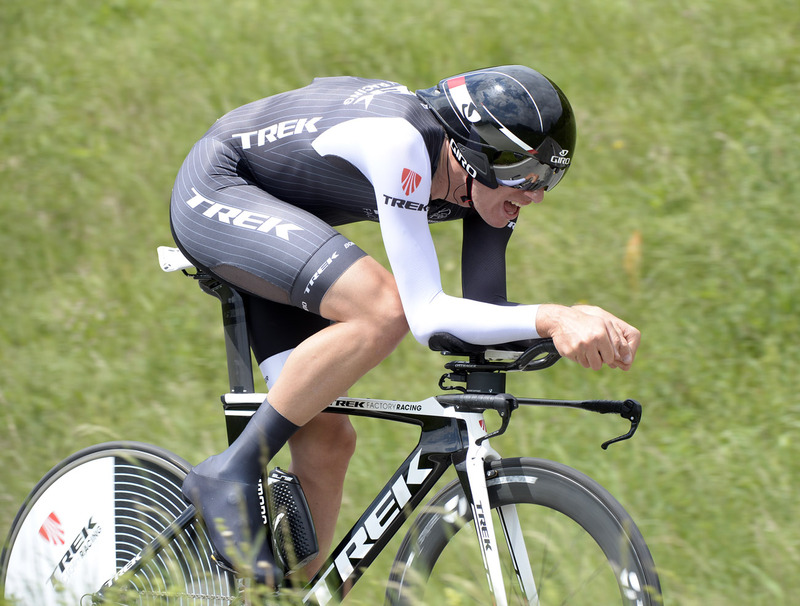 Other impressive rides came from Jesse Sergent (Trek), who finished third just eight seconds down, and Rigoberto Uran (Omega Pharma), who managed fourth place despite not being a recognised time triallist, boding well for the start of the Giro next week.